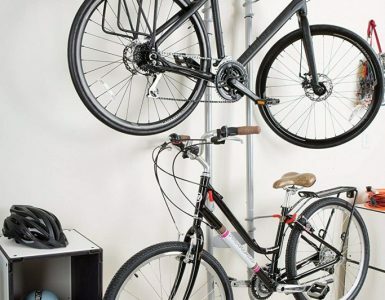 Freestanding Bicycle Storage Rack – One of the key features of this bike rack is its freestanding option that allows it to stand upright without any wall support or ceiling attachments. This makes it a feasible handy instrument that you can move around according to your requirements. 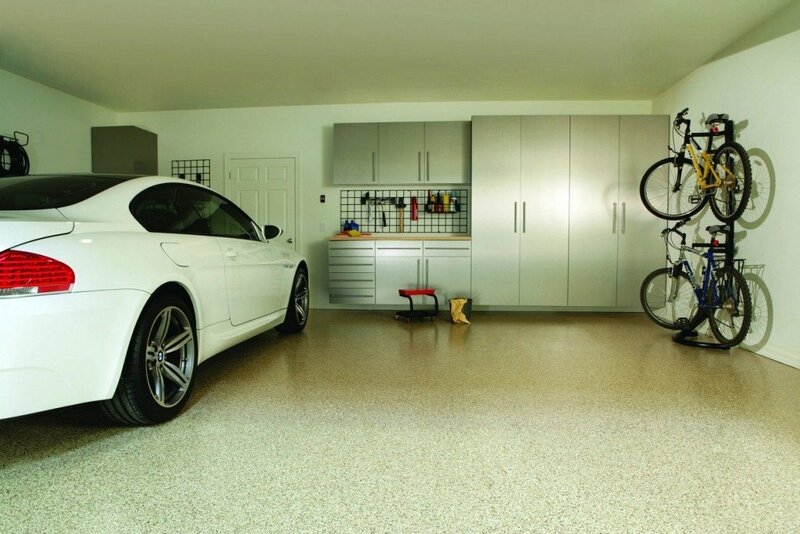 Place it anywhere in your garage or home space as conveniently as possible. The base stand is also adjustable on uneven floors but it rests with greater hold on carpeted floors. 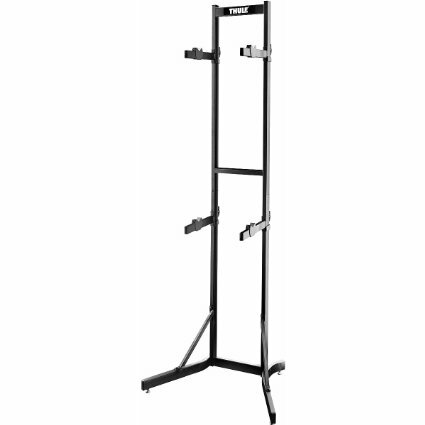 Sturdy Vertical Rack – The racks are designed to hold your bikes upright without any hassle. The rack is designed to accommodate two bikes comfortable. But, the steel framework of the stand is immensely strong with a heavy-weight steel construction that can hold almost all bikes of any weight, shape or size. 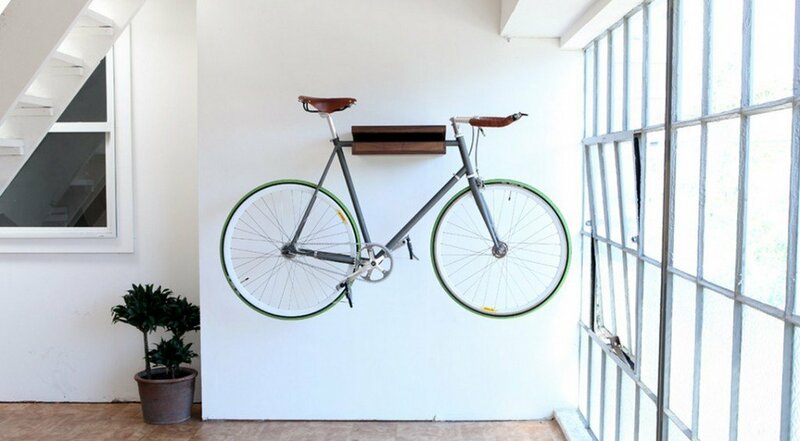 So, you can mount your favorite mountain bikes and sports bikes effortlessly over this steel frame. Free Adjustable Arms – The arms of the Thule Bike Rack are adjustable to your preferable height measurement up and down the rack. This can facilitate easy use for your kid’s bike too. Children can comfortably stack and lower their bikes with no difficulty. The arm holder is also uniquely built with a locking doorknob technology that saves the bike from falling accidents. Special V-shaped Holders – The add on feature includes the unique V-shaped rubber encrusted handle bars that hold the bike and provide a protective cushion surface for your bikes against minor body scratches along with shielding strained gears and cables of your bike. It also helps your bike to stay newer and shinier for a longer period. Design – The design is very sleek and well engineered with an attractive black-powdered coat finish that protects the sturdy rack from dust and rusting through the years. The dimension of the Thule BSTK2 Bike Rack is 84x31x21 inches measuring in height, width and circumference. It weighs around 30 pounds. Shipping weight maybe around 38 to 40 pounds according to packaging resources used for its wrapping. The product is now available only within the United States and to APO/FPO addresses. For shipment details to different locations and other verifications contact with the manufacturing company for further details, warranty and support issues. The Thule bike rack is also available online through Amazon where you can order it directly if located within the U.S. Within the U.S. territory shipping charges may not be applied. 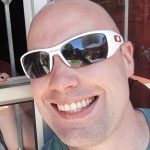 A User’s Guide Book that will help you with the installation. A Limited Lifetime Warranty Card – The warranty card however lapses if the procurer transfers the product to other person or establishments. The warranty does not cover faults caused by natural tear and wear, scratches, mishaps, or malfunctions caused by alteration of any type other than the ones approved by Thule. The Thule Company is a long establishment and a top leading organization in the field of transport solutions. Founded in 1942 by the Thulin family, it continues to provide excellent innovations for products related to daily transport and hardware accessories. The Thule bike rack model BSTK2 is a popular product of this company that has been specifically designed and modeled keeping in mind the requirement of specific transport based storage solutions of the people in general. There have been very few problems regarding its installation and use of the Thule bike rack. The only specific problem some customers have faced are issues regarding the height adjustment that required them to remove the base stand and then drill the equipment a little higher up on the wall. Since, the base is removable; it is possible to customize it a bit differently if you want it fixed to your wall. But, the warranty card of Thule Company does not approve this modification. Hence, it would nullify your limited lifetime warranty. If you want more reviews regarding this stacker feel free to visit Amazon.com for more readings. That way it might help you to decide the most viable option suitable for your needs. You should expect to pay an amount of *price for purchasing the Thule bike rack. Do check out the price quotient of this bike stacker from Amazon for seasonal discounts and offers.